I remember how she held me,  oh so tight. Against the wind,  a little something against the wind. Against the wind, I'm still running against the wind. 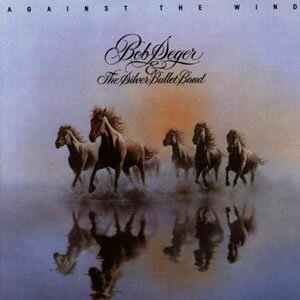 Against the Wind is a song by Bob Seger & The Silver Bullet Band from the 1980 album Against the Wind. "Against the Wind" is the highest ranking single from the album, peaking at #5. Glenn Frey of the Eagles sang background vocals on this song. According to Timothy White, a writer for Rolling Stone, "'Against the Wind' is about trying to move ahead, keeping your sanity and integrity at the same time."